Posted on 10/21/2015 by Rebecca	in Live Review and tagged dc music, DC9, froth, shoegaze, the drums. When Mickey first asked me to look into and preview Froth, a band I knew nothing about, I went to Spotify. In my search for the band, I found three albums, and as I often do, I chose the first album dated 2010 as my starting point. What followed was not the indie rock band I had expected as the opener for this coming Monday’s The Drums show at DC9, but rather a doodling, psychedelic jam band. This had to be wrong. And indeed it was one of those weird Spotify mix ups with two bands listed under the same artist name. A bizarre mashup of songs, albums and divergent cover art. And while the 2010 album from the band Froth wasn’t half bad, it wasn’t my assignment, so I moved to Froth’s 2014 album Patterns and their latest 2015 tracks from Bleak. What I found on these two albums from what NPR’s Robin Hilton calls a “shoegaze” band was an entertaining combination of psych-pop and hard rock, which in stark contrast to my jam band chill prep, had me totally rocking out. 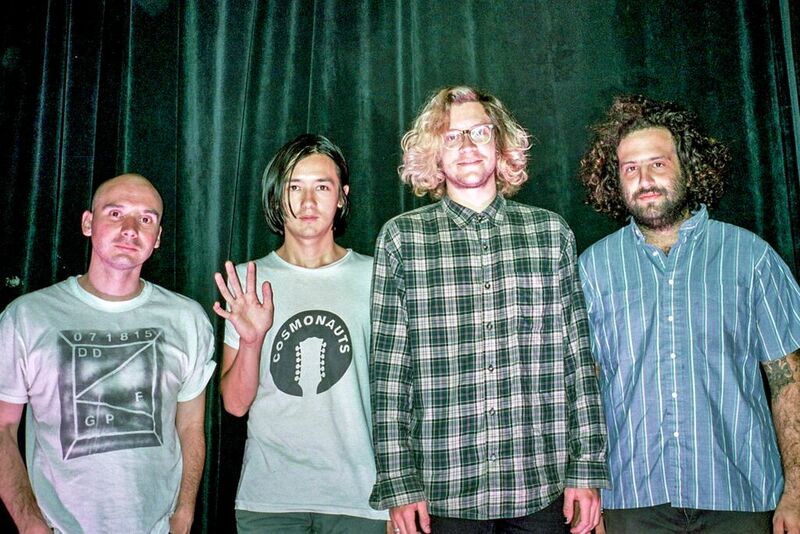 While shoegaze emerged from the UK in the 1980s and 1990s, my feel for Froth went to the West Coast with a surfing music vibe, particularly found in the tracks “Lost My Mind” and “Oaxaca.” While these tracks are from Froth’s 2014 album, this distinct multi-layered, beach sound continues into the tracks from 2015’s Bleak, albeit with a much stronger presence of rock, psych-pop, and grunge along the lines of Nirvana and Hole. In listening to Froth, I was happily reminded of my love for the similarly sounding band — the Smith Westerns whose 2013 album Soft Will and 2014 BlackCat performance blew my mind. If you enjoy a band that plays with complexity and a tight balance between all its members, then definitely show up Monday at DC9 for the opener Froth. Oh, by the way, the show at DC9 on Monday is free to members of Jukely, a new monthly subscription service that gives its members unlimited concerts from a slate of bands every month. Check it out and see what you think!